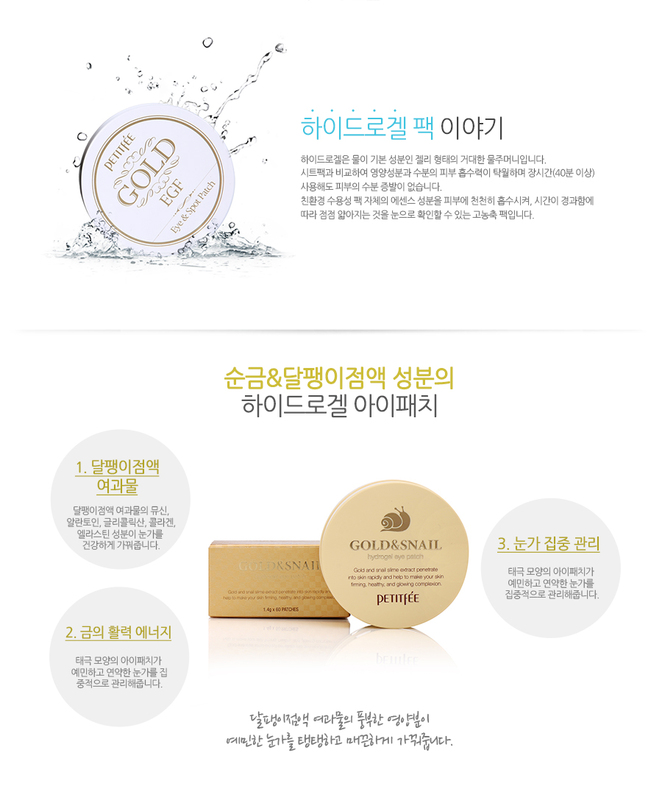 Gold and snail slime extract penetrate into skin rapidy and help to make your skin firming, healthy, and glowing complexion. After cleansing, apply the skin with toner. Use the enclosed spoon to take hold of patch. Apply the patch around the eyes, After 30 minutes, remove the paych and pat around eyes gently.